I have to admit something… I’ve never had Shrimp and Grits before. 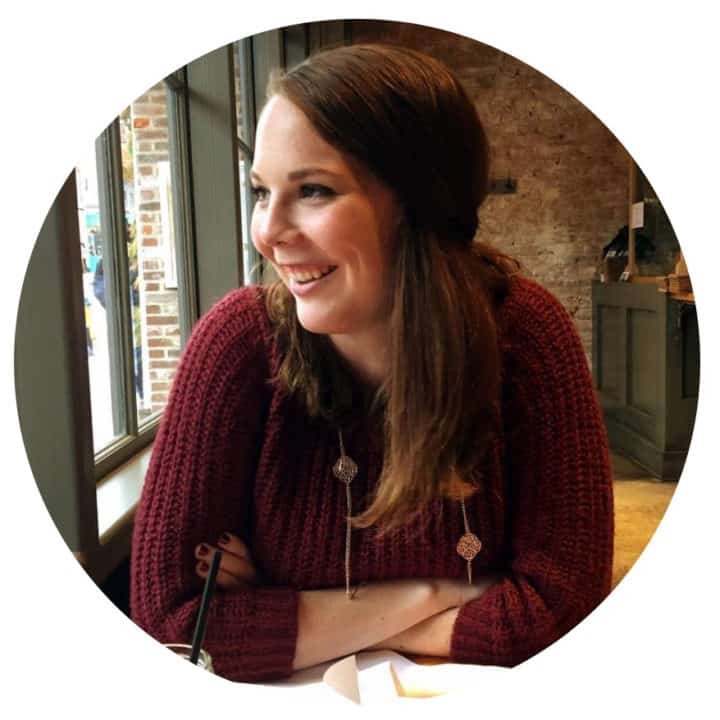 And as someone with a Southern half of the family, I am ashamed and mostly surprised I haven’t been banned from family events. I’m not entirely sure why I haven’t decided to try it prior to now with my family and having gone to college in Southwest Virginia being excellent reasons to have had it. Maybe it was the fact that I wasn’t all to sure about what grits were. For those who are in the same boat that I was, it’s just ground up pieces of corn. ? Definitely not as scary as whatever nightmare food that it was in my mind. It has a different texture, but nothing that is too far out of normal. 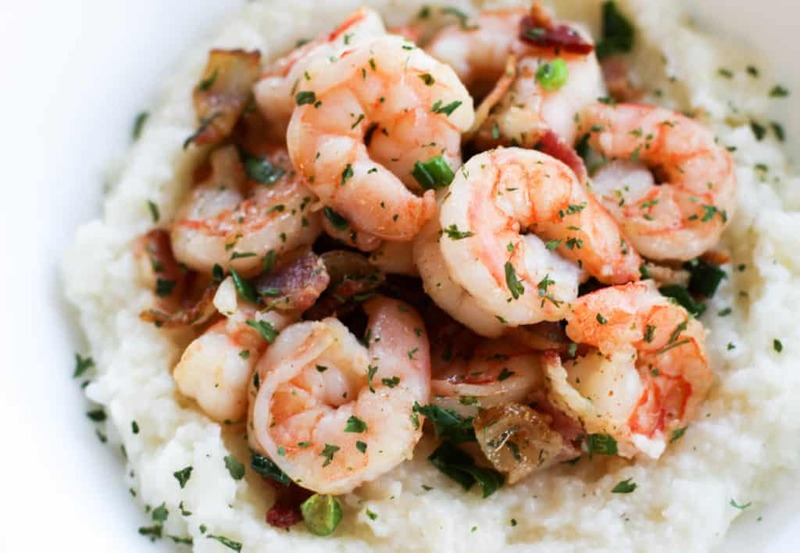 From what I’ve seen, Shrimp and Grits usually has a creamy sauce. I opted to keep it simple. 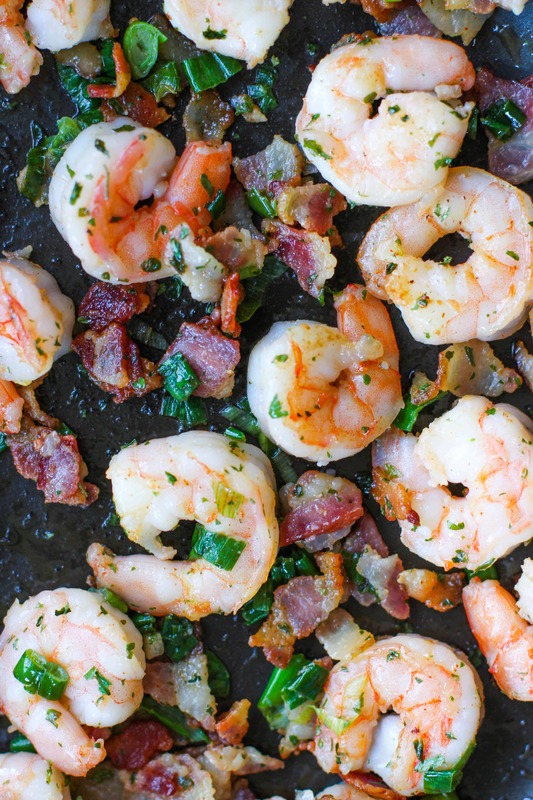 I mean who doesn’t want shrimp cooked in bacon grease? I could eat this little combo of shrimp, bacon, and green onions on just about anything honestly. It’s so savory and just sticks to your lips with ALLL of the flavor. I also added a little cayenne pepper to kick up the heat and break up the greasiness. The amount in the recipe is extremely subtle so if you’re someone who loves spice, I definitely recommend doubling it at a minimum. 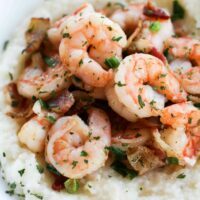 While it might not be the most authentic batch of Shrimp and Grits around, the flavors and pure simplicity of it make it a great dish. An easy and flavorful take on Shrimp and Grits. Using a large pot, bring water to a boil. Add salt, pepper, and grits and stir until covered. Lower heat to low and let cook until the water is absorbed, 18-22 minutes. Remove from heat and stir in butter until melted. While cooking grits, cut up bacon into small pieces (I use kitchen shears) and cook until done in a large skillet over medium heat, about 10 minutes. Remove bacon pieces using a slotted spoon and place aside. Place the shrimp into the skillet using the bacon grease to cook until pink, about 5 minutes. Turn heat to low and add in bacon, lemon juice, parsley, green onions, and cayenne pepper. 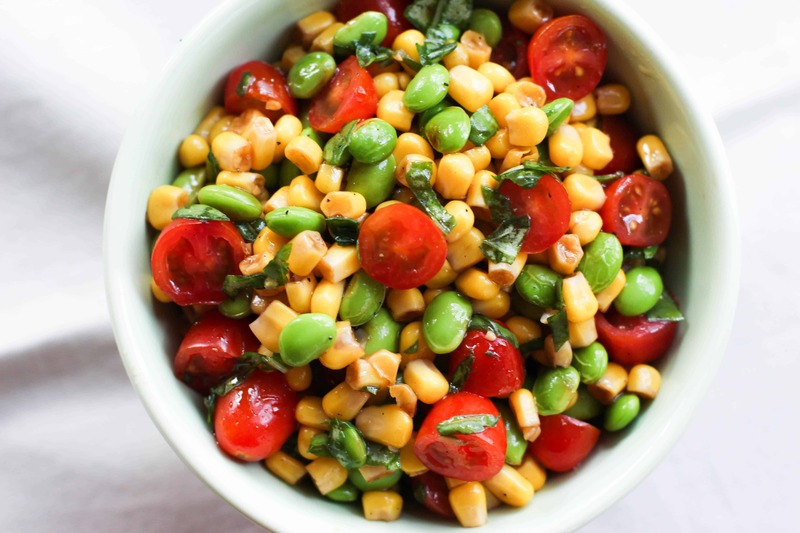 Mix together and let cook for another 3-5 minutes. 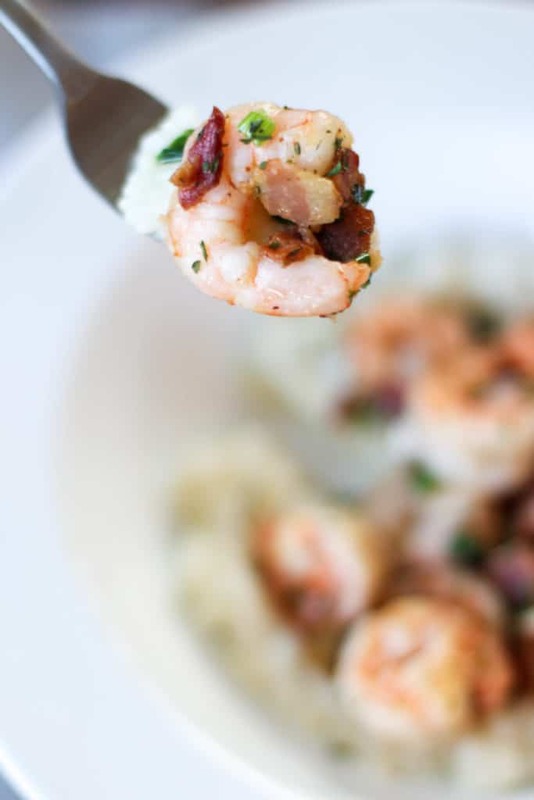 To serve, place grits in a bowl and spoon shrimp and bacon mixture on top. Enjoy immediately!